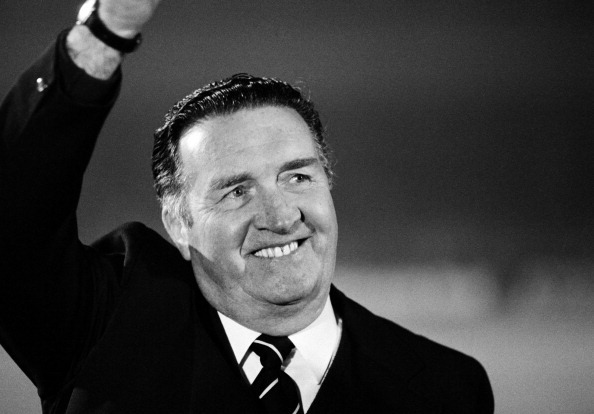 Exactly thirty years ago today on 10 September 1985, Scottish football lost one of their greatest ever managers when John "Jock" Stein succumbed to a heart attack at the end of Scotland's 1-1 draw with Wales at Ninian Park in Cardiff. The result guaranteed Scotland a place in the qualification playoff round for the 1986 World Cup, but this result and their subsequent 2-0 aggregate win over two legs against Australia would be largely overshadowed by the tragic loss of their legendary manager. 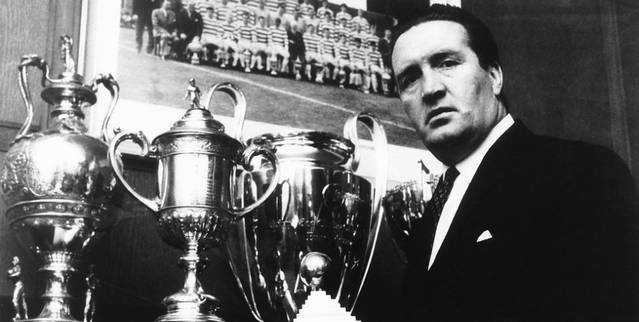 Hailing from the rugged mining town of Burnbank, South Lanarkshire, Jock Stein was born on 5 October 1922. Hoping to escape the harsh reality of a life spent in the coal pits, Stein like many boys his age dreamt of pursuing a career in football. 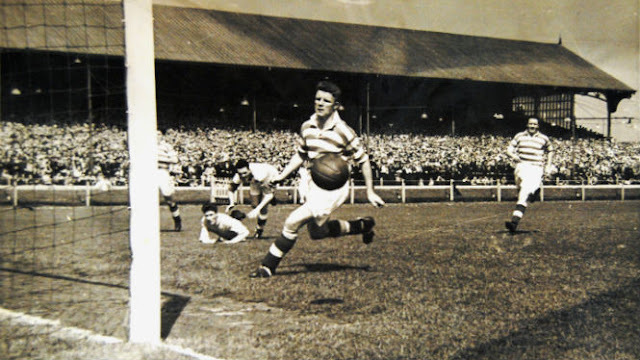 In Stein's case his talent as a skillful centre back shone through as he managed to impress scouts of Albion Rovers while playing for his local junior side and signed his first contract with the Cliftonhill club in 1942. Working part time in the mines, an essential service for the war effort, he was excluded from serving in World War 2 and in the meantime able to continue his career for Rovers. After eight years with the club, Stein played a single season for Llanelli Town in Wales before a surprise move came to the club he would become synonymous with, Celtic. In 1953-1954 Stein captained Celtic to the League and Cup double, their first league title since 1938 and first double since 1915. Unfortunately a serious ankle injury put an end to his playing career in January 1957. Moving into management, he first took on the reigns of Celtic's reserve side before jumping at the chance to become the first team manager of Dunfermline Athletic in 1960. He would come back to haunt his old club when he led "The Pars" to victory in the Scottish Cup over Celtic in 1961, the first Scottish Cup Final win in the team's history. After four successful seasons at the club, which featured runs to the latter stages of the UEFA Cup Winners Cup and Fairs Cup, Stein had a one season stop at Hibernian before coming back to Parkhead and taking over Celtic's hotseat. Under his management Celtic would enjoy the most successful period in it's already storied history, winning ten Scottish league titles (including a record nine in a row), eight Scottish Cups, six Scottish League Cups, and most famously of all victory over heavy favourites Inter Milan in the 1967 European Cup Final. Impressing with their attacking football against Internazionale's defensive-style "catenaccio", Stein's Celtic side was made up of nearly all Glasgow born players who would come to be dubbed "The Lisbon Lions" for their stunning 2-1 win at Benfica's Stadium of Light. In 1978, after a slight dip in fortunes, Stein was unceremoniously forced out at Celtic. A short stint at Leeds United followed, before he took on the post of the Scottish national team manager. Leading a talented Scottish squad to the 1982 World Cup, Stein's side were just edged out in the first round by the Soviet Union on goal difference. For their 1986 World Cup qualifying campaign, Scotland found themselves in a tough group with Spain and a talented Welsh side, with Iceland making up the numbers. While Spain won the group, Scotland went into Cardiff for their final fixture needing at least a draw to qualify for the playoffs at Wales expense. Stein, who was not in good health and under intense pressure from the Scottish press, saw his side go down to an early goal by Mark Hughes. With only nine minutes to play Davie Cooper slammed in a penalty for the Scots to put them on course for the point they needed. With two minutes to go in the match, wrongly mistaking the referee whistling for a foul as the final whistle, Stein got up to shake hands with his Welsh counterpart Mike England. He collapsed to his knees, before falling completely to the ground. As Stein was carried into the dressing room his side held their nerve and closed out the match. 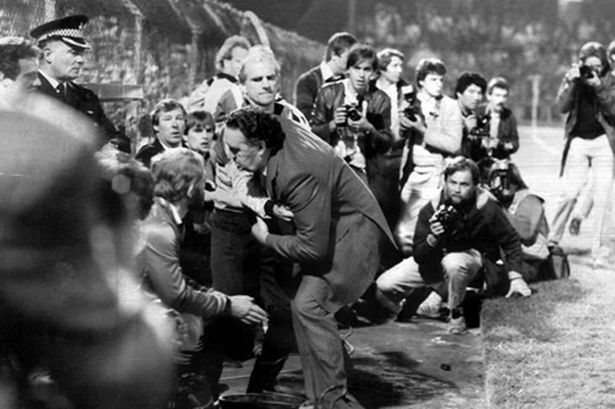 Not knowing the gravity of the situation, the Scottish players celebrated their qualification with 12,000 travelling fans before Stein's devastated assistant Alex Ferguson came over to tell them that Stein had suffered what was believed to have been a heart attack. Shortly after Stein would slip into unconsciousness on the treatment table and never wake up. After his death, Cardiff City would erect a plaque honouring him at Ninian Park and later move this plaque to their new ground, while Celtic would rename the west end of Celtic Park as the Jock Stein Stand. 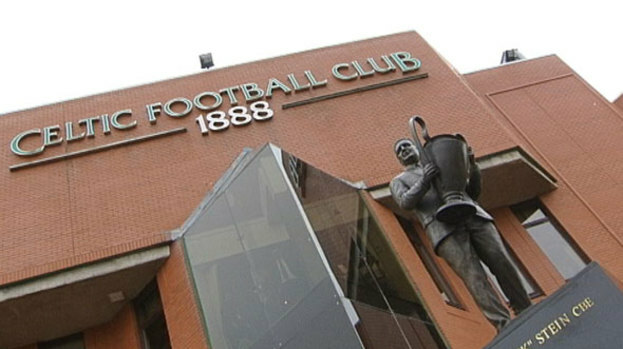 In 2011 a bronze statue of Stein was erected outside of Celtic Park holding the European Cup, a fitting tribute for the first British manager to capture the famous trophy.